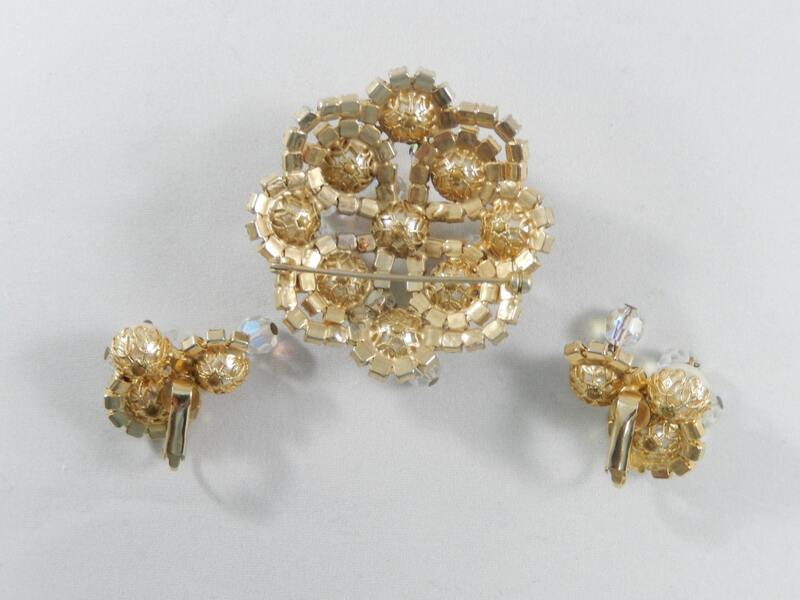 This is a designer quality unsigned brooch and earring set. 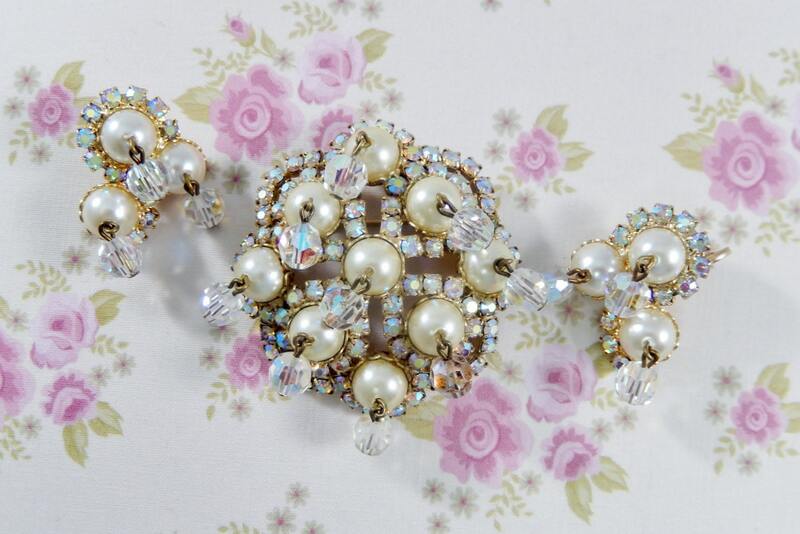 The beautiful brooch has a gold tone frame featuring aurora borealis faceted glass beads dangling from faux pearls which are surrounded by AB rhinestones. All of the rhinestones are faceted and prong set, and the crystals and pearls show no wear. The earrings are the same motif on a smaller scale. 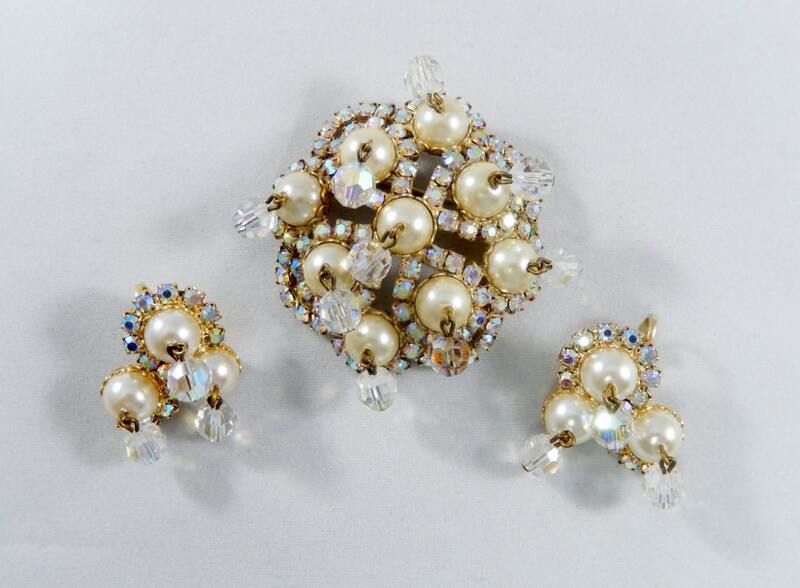 The brooch and earring backs show little to no wear also, and the clips are in great condition. The pin closure is straight and works smoothly and securely. The brooch measures 2" across and the earrings are 1 1/8". This is an unusual and elegant set that will bring a touch of vintage glamor to any outfit.